Find My Workspace lists over 95% of the business centres market in High Wycombe. Simply click Request Quote to check pricing for one office, or Add to Basket for multiple offices. 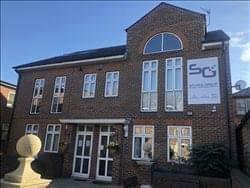 Attractive office spaces in High Wycombe occupy this smart office building close to excellent local transport links and just a few minutes walk from the town centre, and 10 minutes walk from the High Wycombe train station. Unfurnished office space available from £150 + VAT per person. The office building is attractively designed to create a really enjoyable working environment and is available for short or long term rental. This location is ideally situated just a mile away from the M40, which offers direct links into Central London. There is also the A404 which links to Heathrow. Offices are equipped with high speed internet access as standard. There is the added security of 24 hour access with coded door entry, 24 hour remote monitoring security and fully alarmed. 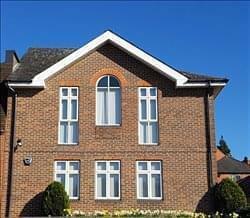 All offices air conditioned, have use of modern kitchen facilities, separate toilet facilities and fully maintained. The offices are available for rent as a whole or as individual offices. The office space is available to rent with additional services, such as administrative support, office furnishings (desks, chairs, cabinets), photocopying and scanning services, cleaning services, reception services, conference room hire, and secure car parking. A fully inclusive monthly rental price includes building insurance, building rates, air conditioning, power and water. For the additional services, prices are available on request. Our licence agreements are for 3, 6 or 12+ month terms with a 1 month notice period. Based in High Wycombe, this attractive space is designed with the aim of creating an enjoyable working environment and is available with flexible terms. The offices come equipped with high speed internet as standard and are all air conditioned. Tenants can take advantage of modern kitchen facilities and 24 hour access and security – perfect for an all nighter or for creating your own schedule. Tenants can also take advantage of additional services such as administrative support – such as photocopying and scanning services – furniture, cleaning services, reception services and conference room hire. The centre also gives tenants a simple monthly payment which as well as rent, includes building insurance, rates, power and water. 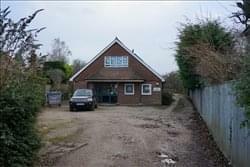 Rarely available, private Ground Floor office within a 2 storey multi-let office building in the heart of the quiet village. The offices come with flexible terms and all-inclusive pricing which includes utilities, insurance, communal cleaning, post handling and reception cover which ensures all of the admin and building maintenance is taken care of enabling you to focus on your business needs. The property is fully furnished and provides fast fibre-optic internet connection. Other amenities include an on-site kitchen, separate male/female toilets, disabled facilities and on-site parking.